In each sport, yoga, pilates, dance and other modes of recreation it is pointed out the importance of proper breathing. Proper breathing leads to better health, to strengthness of our organism and the suppleness of the body. We are calmer, organs and circulatory system function better, we have more energy and respiratory system is stronger and healthier when we breathe properly. Indeed it is necessary to remind ourselves every now and then of the importance of breathing, the rhythm of inhalation and exhalation, which we hold from the moment of birth until death. The combination of activities, sports, recreation and halotherapy with proper breathing give excellent results in solving problems with the airways and strengthen our body. Almost inevitably subject to daily stress, whether it is related to the tasks at work, school, bad news in the media in our own environment or away from us. Traffic jams, an increasing lack of time to do everything that was given to us by others or we ourselves put it on our to do list, that we should dedicate to ourselves and to our body. In such a rush when we want to put a line at the end of a day we often feel unhappy because we did not manage to do everything we planned and that is the reason why we are paying a high price because we accumulate irreversible consequences and often low on confidence and faith that we can win ,,stress". 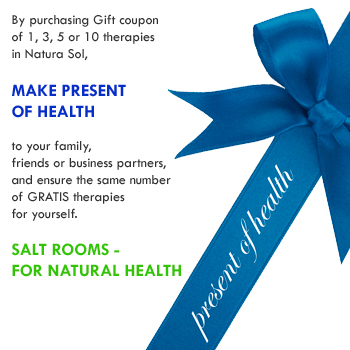 In salt rooms we offer therapeutic benefits of salt with a pronounced anti-stress effects on our body and mind. Dry salt aerosol is enriched with magnesium-stress effect, so this is a winning combination that disappear stress symptoms that usually are recognized with more difficult and rapid breathing, headaches, chronic fatigue, sweating and poor circulation. Early-morning therapy will fill you with freshness, energy and peace which will help control the emotional reaction and give more space to the concentration and quality communication with others. Evening therapy will relieve your stress, ward off accumulated fatigue and bring you into a peaceful sleep. 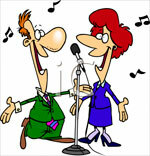 Salt rooms is a place ideal for singers and musicians who play wind instruments as well for all other musicians. This oasis of fresh salty air is useful for people who in their work use ther vocal cords a lot like singers, musicians and educational professionals, educators and others. By living in the city we often do not have time to go for a weekend into the nature and fill our lungs with fresh air and purify ourselves to refresh and strengthen our immune system. 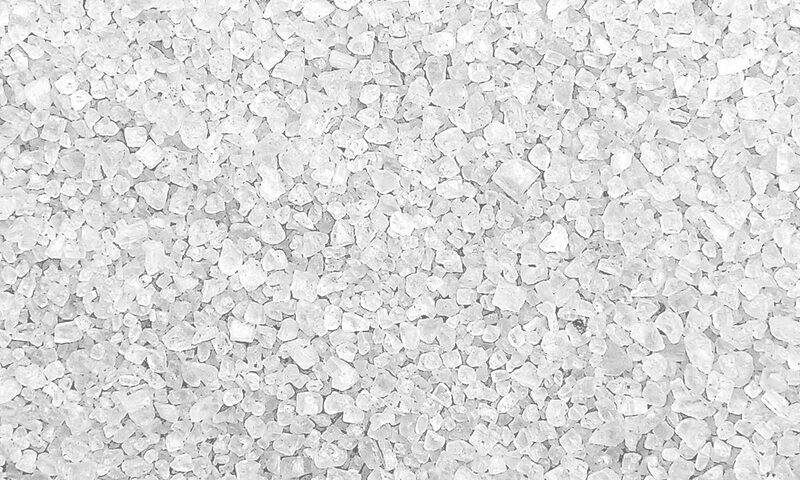 One treteman in the salt room is similar to a four-day stay at the seaside. Halotherapy is a solution that allows a good way to maintain hygiene of our a respiratory system. A smoker's cough is a serious issue for smokers and non-smokers alike, since the latter are surrounded by them. Nobody likes that cough, neither the smokers nor the non-smokers. Only smokers are aware of how difficult it is for them when they have a coughing fit.Yet giving up their smoking habit is a hard challenge for them. Smoking in salt rooms is forbidden of course, but the treatment of halotherapy is of great help to smokers with a smoking cough which often leads to chronic bronchitis. Halotherapy clears their lungs and eases their brething. Curative therapy in salt rooms is very helpful in accelerating the expulsion of toxins deep from the lungs of the former smokers. Halotherapy and few breathing exercises will certainly be useful to any smoker and it will strengthen his body.